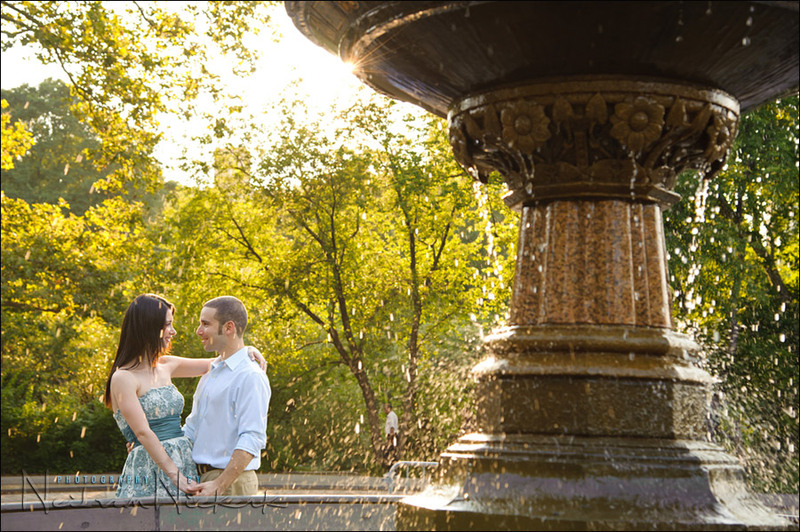 For their engagement photo session, Scott wanted to go back to exactly the same spot in Central Park where he proposed to Alli. Cute! The funny story behind this is that it wasn’t even the spot he had intended originally. The horse-and-carriage driver didn’t want to stop at the top of Bethesda Fountains for Scott, but instead stopped here, at the Fountain on Cherry Hill. It doesn’t matter in the end though – Alli said yes. 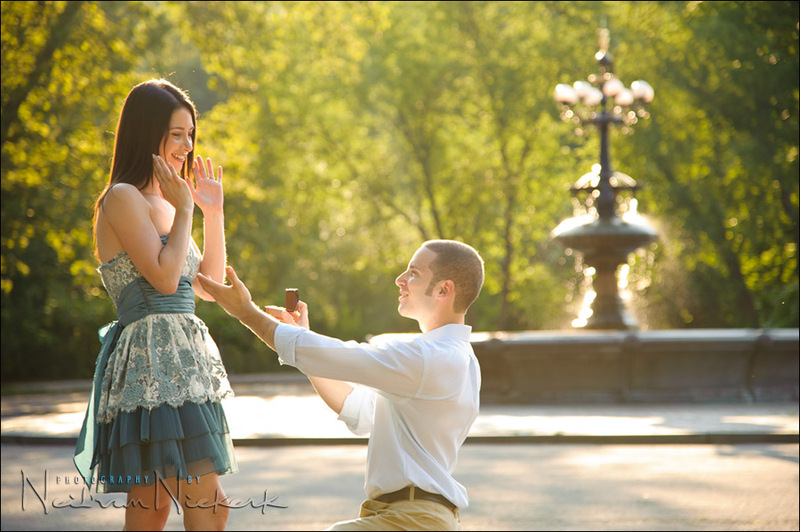 And in this fun re-enactment, her answer again was yes. Particularly enjoy the last image with the blurred taxis. It screams NYC and has very much a movie-like quality to it. Love the warm tones in the pictures. Very vibrant colors and the love of these two people shows through the images. The photo where they are standing next to the fountain is a superb one.